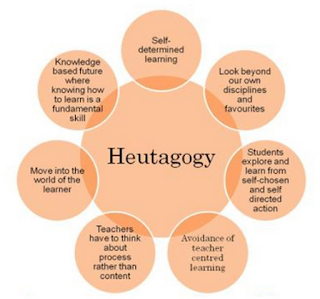 Heutagogy is a learning and teaching approach that is primarily self-directed or self-determined. Unlike the traditional pedagogic paradigm where learning is administered in a controlled environment under the auspices of a ‘knowledge expert’ (teacher) and where learners agency is defined in the logic of conformity and passive adhesiveness to pre-defined instructional guidelines, a heutagogic pedagogy is more learner entered. It is bent on developing learners autonomy and enabling them to take control of their own learning. At its core is the individual empowerment through equipping learners with a variety of skills and competencies to help them with their self-formation. Heutagogic learners are highly reflective subjects. They are constantly engaged in a process of self-reflection and assessment to improve their learning. Arguers & Schon, 1996, (cited in Blaschke, 2012) refer to this process as ‘double-loop learning’. ‘In double-loop learning, learners consider the problem and the resulting action and outcomes, in addition to reflecting upon the problem-solving process and how it influences the learner’s own beliefs and actions’( Blaschke, 2012, p. 59). 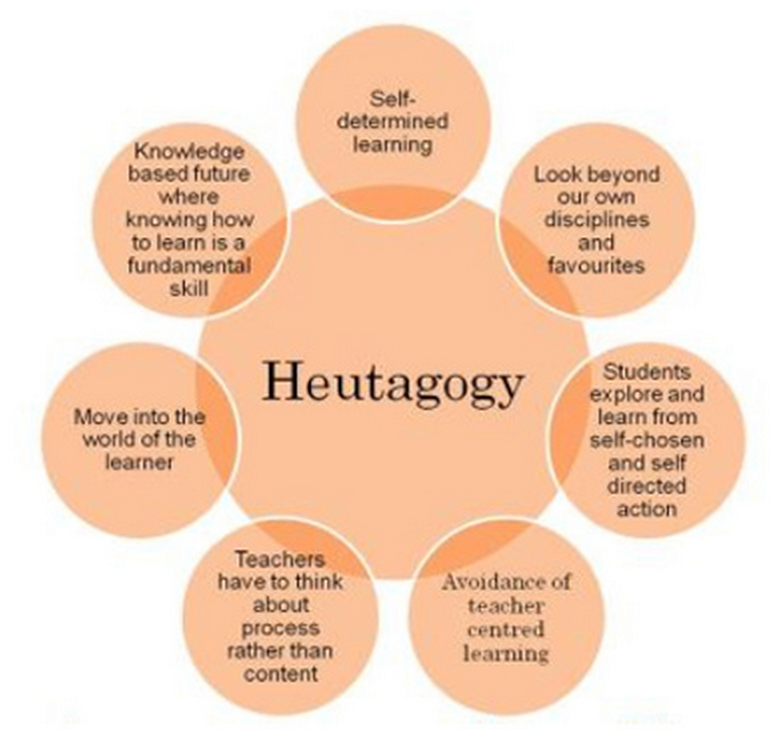 Interest in heutagogy has recently been resurged due mainly to the emergence of a plethora of web 2.0 technologies that support and facilitate self-directed learning. 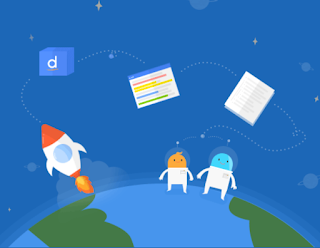 The purpose of today’s post is to share with you examples of some very good web tools that support heutagogic learning. For those of you interested in learning more about Heutagogy, check out the list of references at the end of this post. 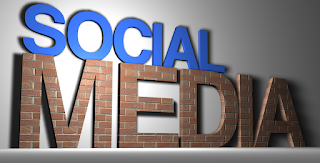 Social media sites come at the top of the list of the platforms that support heutagogic learning. From Twitter to Facebook, social media provides learners with the social capital to drawn on to crowdsource new insights, collaborate on learning projects, and create dedicated PLNs to help with one's professional growth. 1- Blaschke, M. (2012). Heutagogy and lifelong learning: A Review of heutagogical practice and self-determined learning.The International Review of Research in Open and distance Learning, 13(1), pp:56-71. 3- Argyris, C and Schon, D. (1996) Organisational Learning II, Addison-Wesley, Reading. 5- Knowles, M. (1970) The Modern Practice of Adult Education: Andragogy versus Pedagogy, Associated Press, New York.